Jessie's funeral service will be held at All Saints Church, Clayton-le-Moors followed by committal at Accrington Crematorium. Peacefully in hospital on 23rd January 2019, Jessie aged 90 years of Clayton-le-Moors. The devoted wife of the late John, much loved and loving mum of Julie and Derek, dear mother-in-law of Graeme and Susan, cherished grandma of Joseph, Imogen, Georgia and Mark, dear sister of Allen and sister-in-law of Marian, and dear relative and friend to many. Jessie worked as a wages clerk at the family business, Clayton Laundry. 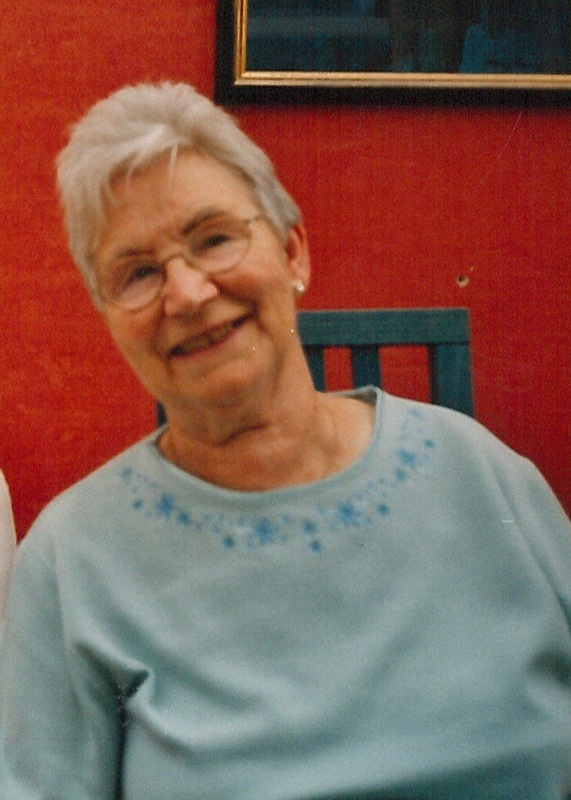 As a lifetime member of Barnes Square Church where she married in 1950, she was also very involved both with the choir and with church activities. Jessie enjoyed her holidays to the Highlands and to Wales and also enjoyed a spot of bowling at Mercer Park Bowling Club. She was treasurer for the club and was the very proud winner of many trophies as well as being good friends with many of the members. An NSPCC supporter, Jessie was on the local committee and spent a lot of time raising funds for the charity and even received an award from Princess Margaret for her work with the charity. Above all, Jessie was a devoted family lady who will be dearly missed. Family flowers only please and donations in memory of Jessie to NSPCC.